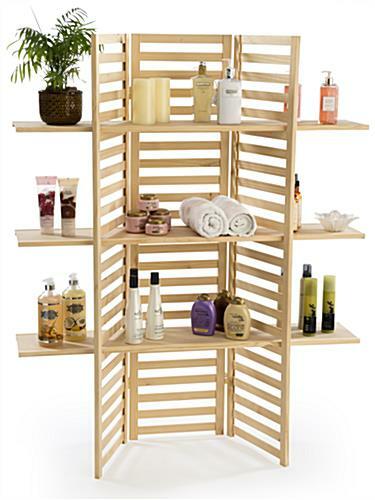 This wooden display rack features a unique and elegant folding panel design. 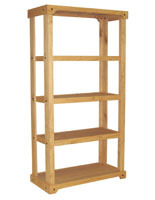 Set in the natural pine panels are (3) large shelves, great for holding a wide variety of store merchandise. 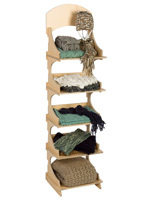 This floor standing display rack is made of solid wood with a natural pine finish. Customers can paint or stain the unit to fit any home or store décor or simply use the unit in its natural and rustic state. 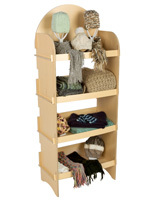 Stock this solid wood display rack with art, clothing, dishes, and any other kind of merchandise. Each unit ships unassembled, passing cost savings towards our valued customers! 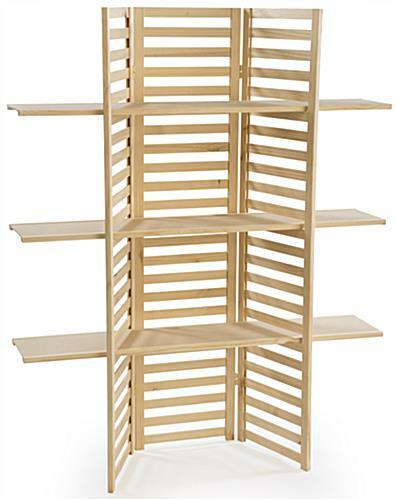 48.0" x 59.5" x 14.5"
Really love the idea of this shelf. Bought it for my pop-up business and wanted something that folded up. 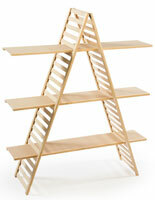 It came with a few slats out of place, which I have tried to fix myself but they are stuck in the wrong position. Also i have been trying to call customer service to talk to someone about getting one additional shelf because I think it should have come with 4 instead of 3 but have not been able to get a hold of anyone. We're so sorry to hear that you haven't been able to get in touch, Karina! That is very odd indeed. A customer care specialist can certainly assist you with this and will be reaching out soon to help you with this. Thank you for letting us know of this issue. I bought the same unit years ago and this one is a much sturdier better version of the old one. I was pleasantly surprise by the free and quick shipping. Good company. Will buy again. 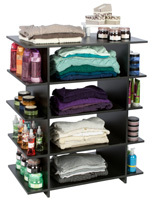 It feels a little flimsy but I love the unit for displaying my products at sales & swap meets. It's very easy to take down and to set up. 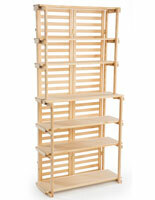 It would be perfect if you would sell individual shelves for the unit also. This display is working perfect for my craft display at a local consignment shop. I was a little worried about the 5 lb weight limit for the shelves, but it is working great. Great concept , but poorly executed. The slats in the frame are loose and some actually fell out of place in transit despite the styrofoam packaging. The frame itself is also very flimsy and light, it shifts and goes all wonky even with the shelves in (the shelves themselves are pretty solid). 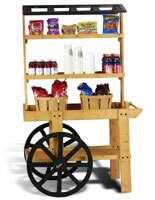 If a customer accidently leans or anything it may topple so have to pay super attention to how products are loaded. I now have to find someone to secure the slats and to sure up the frame itself if possible. We are very sorry that you were not fully satisfied with this product. A customer care representative will contact you promptly.